Every home lover has a comfortable place in shape of a bed to sleep comfortably whole over the night! So bed is compulsory furniture need always and is the most expensive one also in market furniture! A cozy bedroom is also what you need to get first for a healthy living style and all the you need to comfy up your bedroom is to gain a featured, comfortable and serene bed! If market rates are just coming handy, you can simply choose from these 10 DIY pallet bed ideas that are best low-cost alternatives to sturdy, stylish and luxury beds! There is nothing major to do while building any of these beds, constructions are super doable and quick! 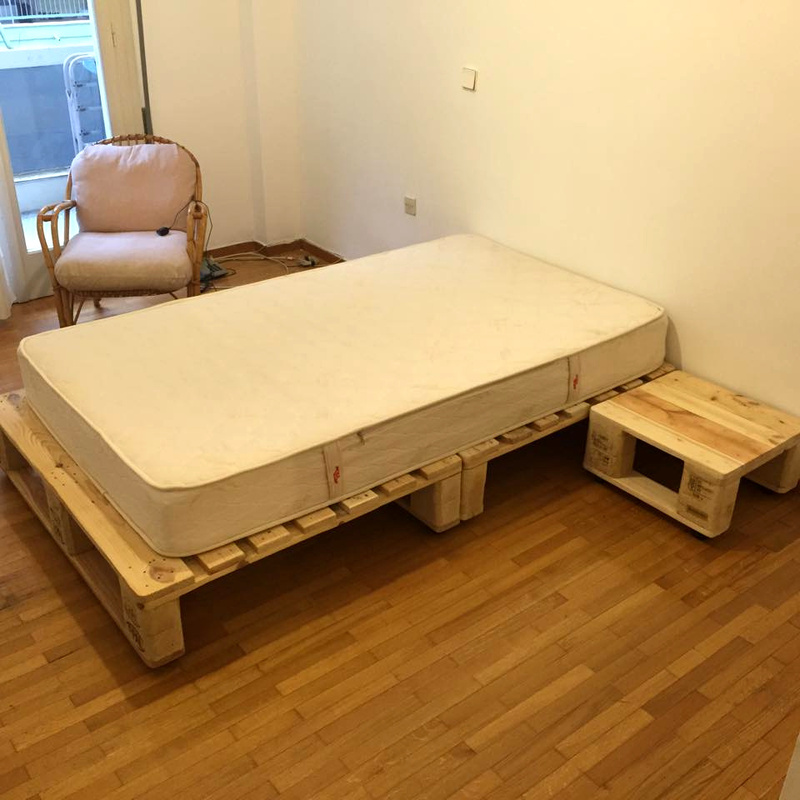 Treat the pallets as prefabricated wooden panels and just put them together for instant wooden beds, you can raise the pallets up to multiple layers to reach that decided cozy height level! 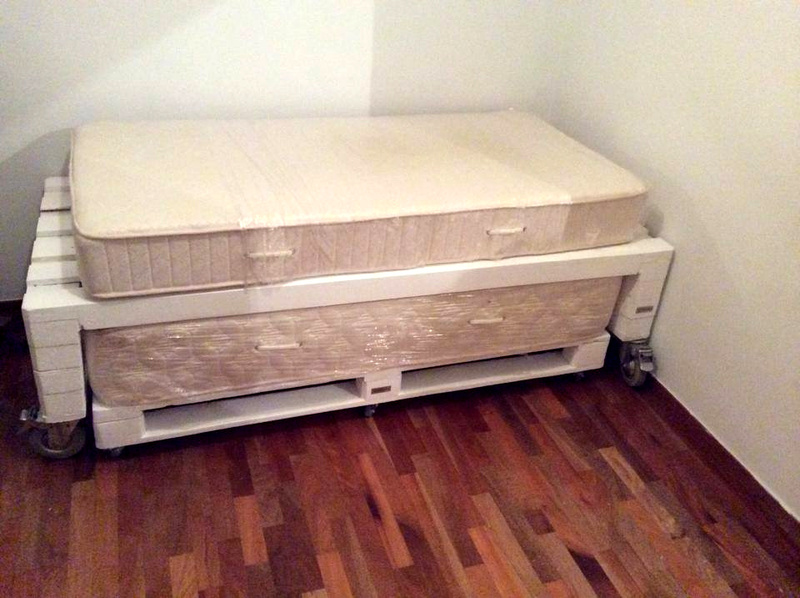 One can even floor up a few shipping skids and can put a foam mattress over for instant platform beds! 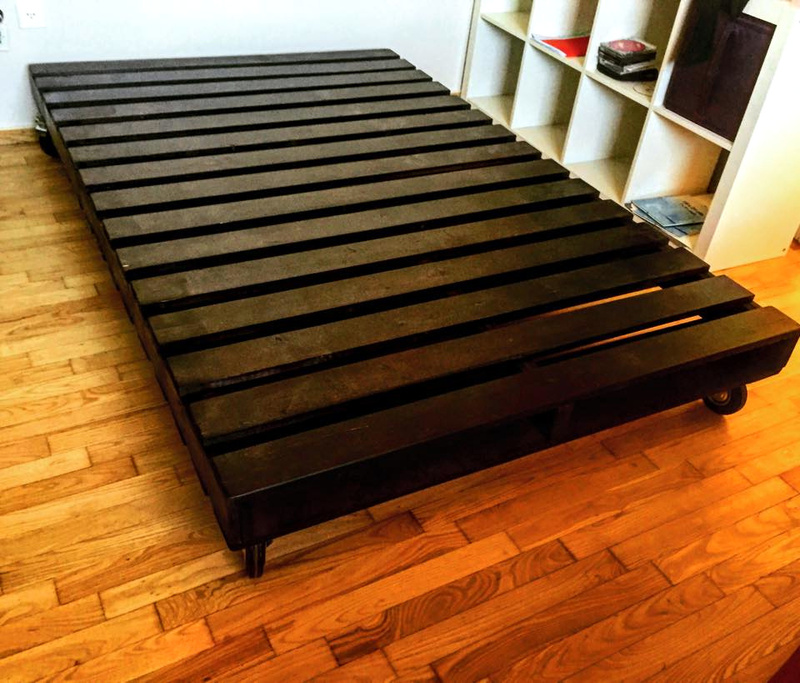 Larger and XL size pallets can simply be finished with custom legs or hardware caster wheels to get into sturdy pallet bed frame! You can simply load pallets over each other to gain instant frames for beautiful and sturdy wooden beds, here this comfy bed has been done using 8 white painted pallets layered up to 2 layers! 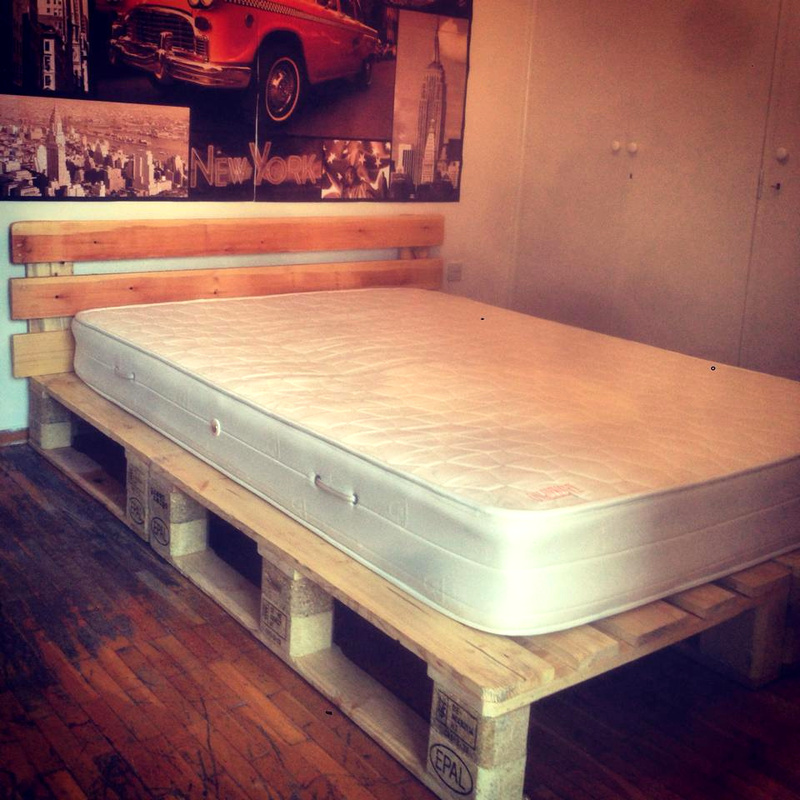 Beautiful wooden pallet platform bed, comes also with a mini headboard, done by just flooring up a few pallet skids! 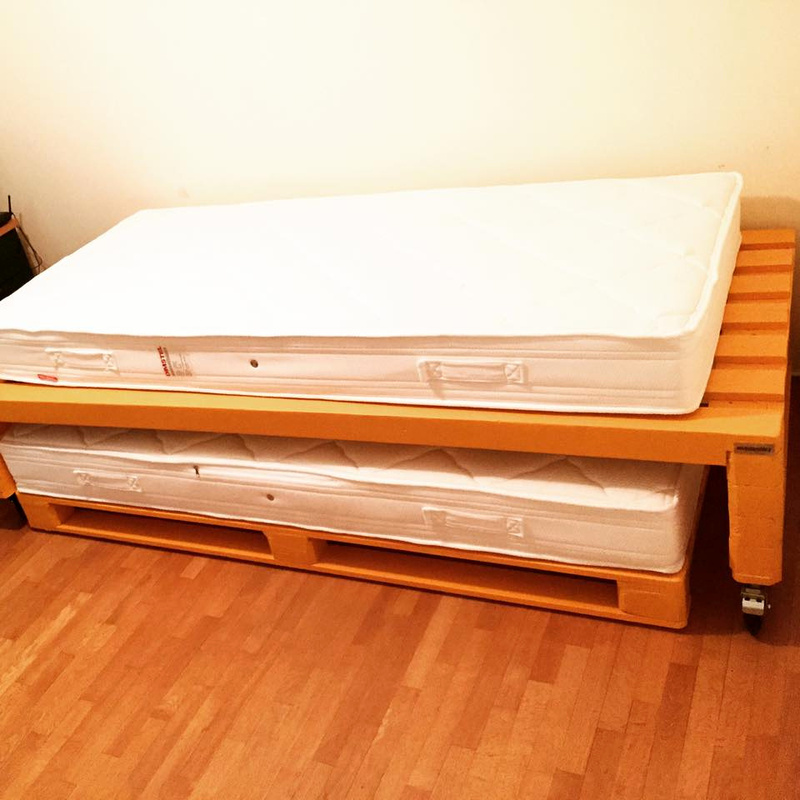 Grab some pallet skids and clone this pair of matching wooden beds, one bed is larger while other is mini which can be stored underside the large one beautifully! Perfect wooden beds for toddlers! Another platform bed done with pallets, built in toddler dimensions and comes with all the necessary component like nightstands and headboard! Another super stable wooden pallet bed, here an XL pallet size has only been raised on wheels to install this beautiful wooden bed frame! 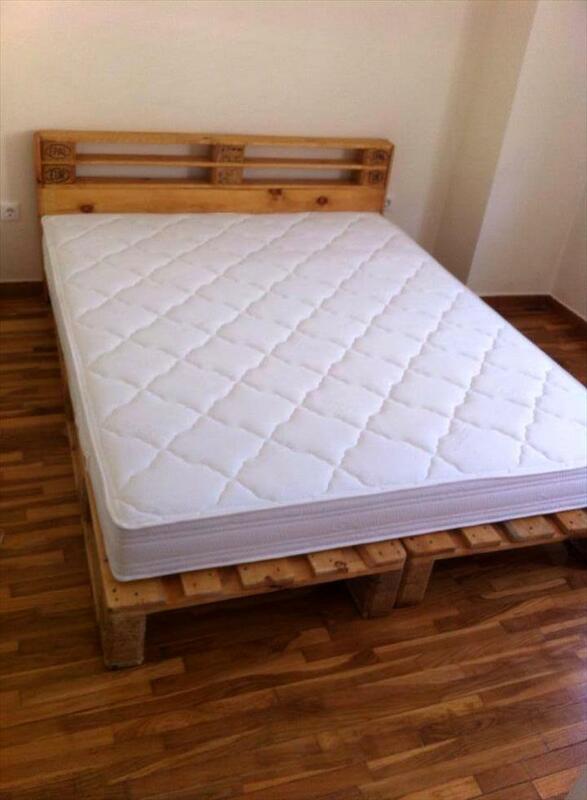 Beautiful wooden bed, done by using 3 pallet skids only which has just been put together in simple arrangements! 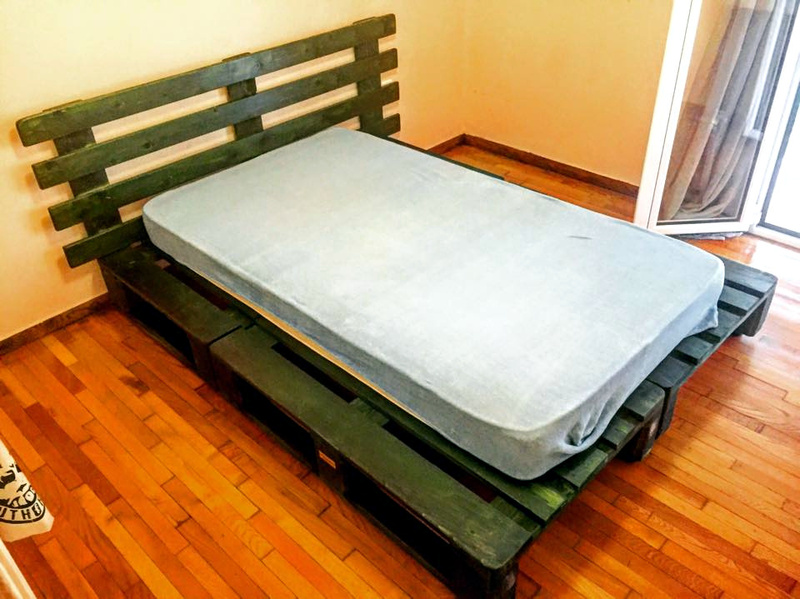 All you need to have 3 skids of pallets to build this bed and 1 skid of pallets with removed back portions has been intended here to build the awesome headboard of this platform pallet bed! 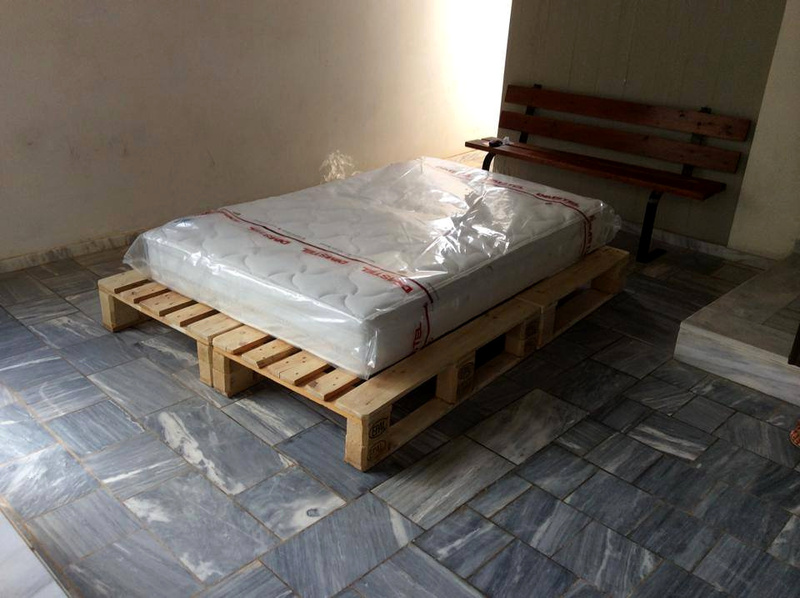 Here this bed has been done by joining the prefabricated pallet panels which has been built by putting pallets together in simple bottom-to-bottom arrangements! 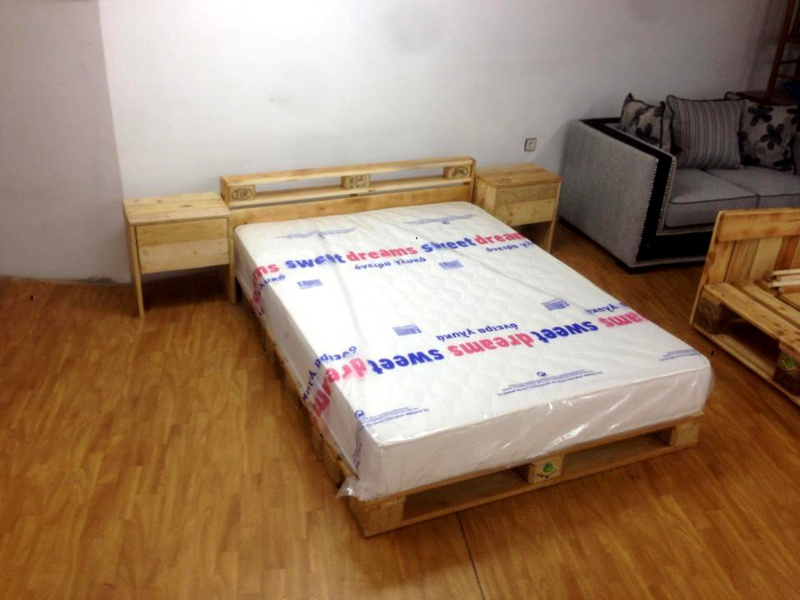 Another easy-to-build but highly stable wooden platform bed done with pallets! A no-cost pallet toddler bed idea! 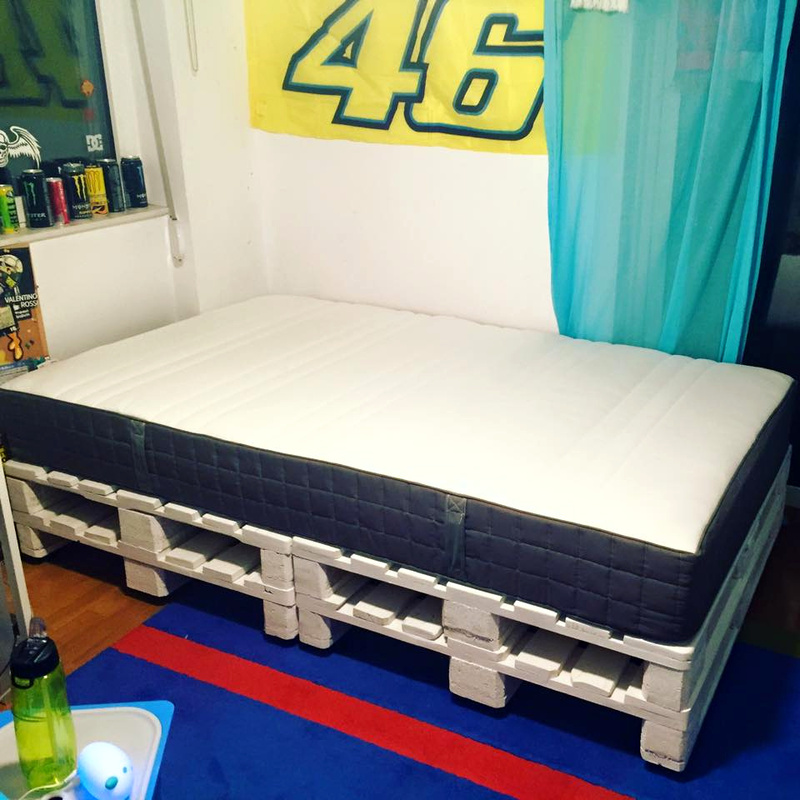 Here skids of pallets which has been elevated a little using removed pallet dice sections, have been raised on wheels and finally have been put together for this awesome wooden bed! This one has been done in the same way as discussed above but here grey painted pallets have been used for the construction! A grand pallet skid into a toddler bed, here the selected pallet skid has only been finished with custom caster wheels to do so! Pair of matching toddler benches, here mini one bed can be stored beautifully under the bigger one, would really rock for a short-space toddler bedroom! Both have been raised on hardware rolls for easy movements!